It's AD 76 during the reign of Vespasian, and Marcus Didius Falco has achieved much in his life. He's joined the equestrian rank, allowing him to marry Helena Justina, the woman he's been keeping time with the past few years. But that doesn't mean all is quiet for Falco, Helena, and their two young daughters. By trade he is an informer, a man who looks into sticky situations, and he's been hired to pry his errant brother-in-law away from a murder investigation. Which means Falco himself must take it on. 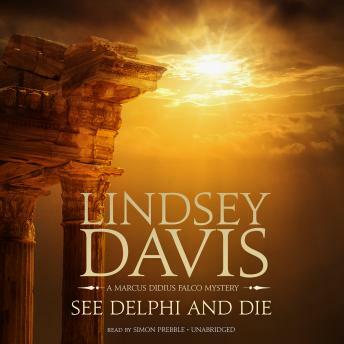 To investigate the suspicious goings-on and the shady dealings of a fly-by-night travel agency connected to the case, Falco and his wife, Helena, travel to Olympia in Greece under the guise of being tourists interested in the classic sites. With two people already missing from the packaged tour, things only get stickier when two more-including Falco's brother-in-law-disappear in what is Falco's most complex and dangerous case yet.